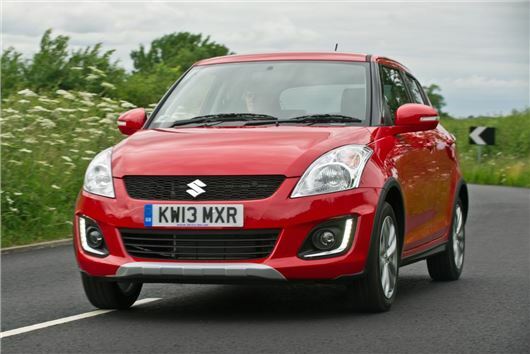 Suzuki has broaden the range of Swift models on sale, adding a new 4x4 option and a five-door variant of the fun Sport model. The Swift 4x4 (above) is available with the 1.2-litre petrol engine in SZ3 or SZ4 trim and is priced from £11,516 while the five-door Sport is priced at £14,249. The Swift 4x4 is available as a five-door only with a manual transmission linked to a 1.2-litre petrol engine. It rides 25mm higher than a standard Swift but is otherwise identical to the SZ3 model on which it is based. However, should owners want a more rugged look they can specify SZ4 trim which includes wheel arch extensions and skid plates front and rear. The all-wheel drive system is fully automatic and only transfers drive to the rear wheels when a loss of traction is detected, meaning the Swift 4x4 is front-wheel drive. It’s only 65kg heavier than a standard equivalent Swift with emissions of 126g/km – 10g/km higher than the two-wheel drive 1.2-litre model. Suzuki has also added a five-door Swift Sport (below), which is £500 more than the three-door version and, aside from the addition of two extra doors, is more or less the same as the three-door. That means 136PS from the 1.6-litre petrol engine and thoroughly entertaining handling. Standard gear includes HID lights, cruise control and push-button start. Is it a "real" automatic or one of those which the manufacturers call auto, but is merely a manual with electronic gear change, or one of the elastic band type called CTV or something similar?